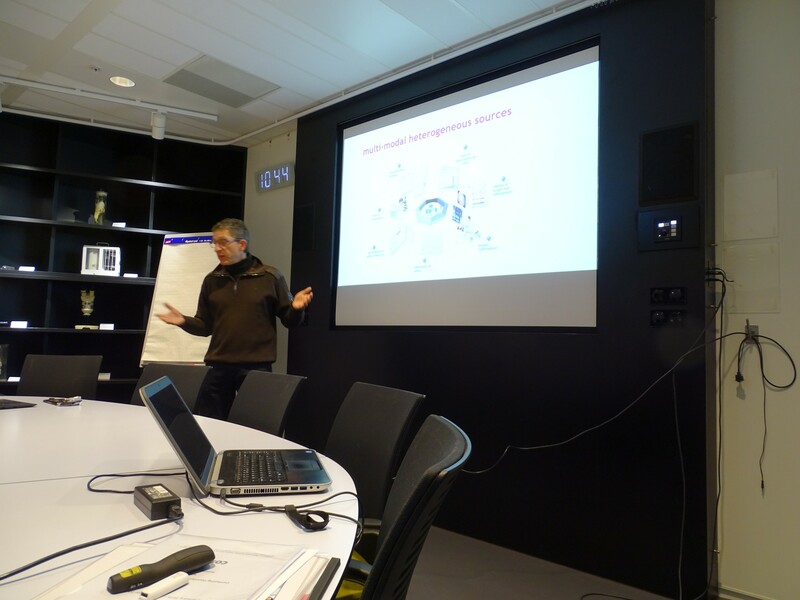 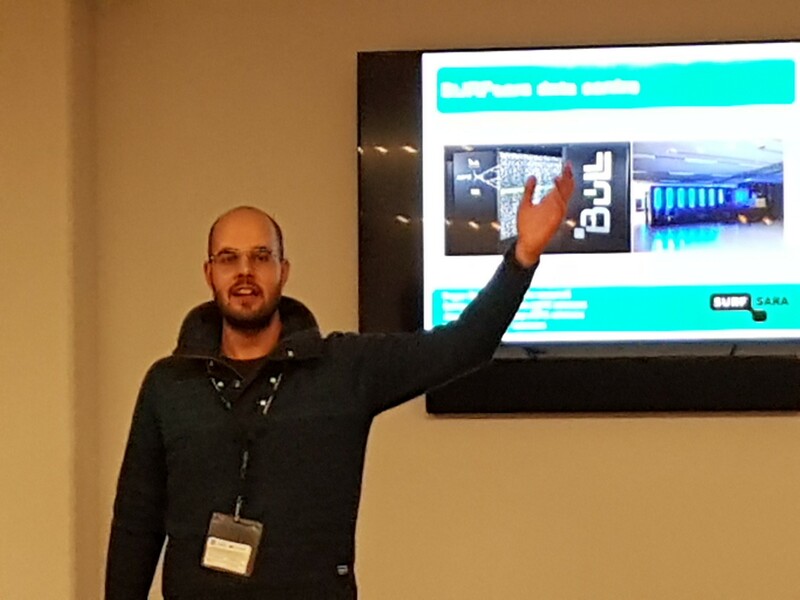 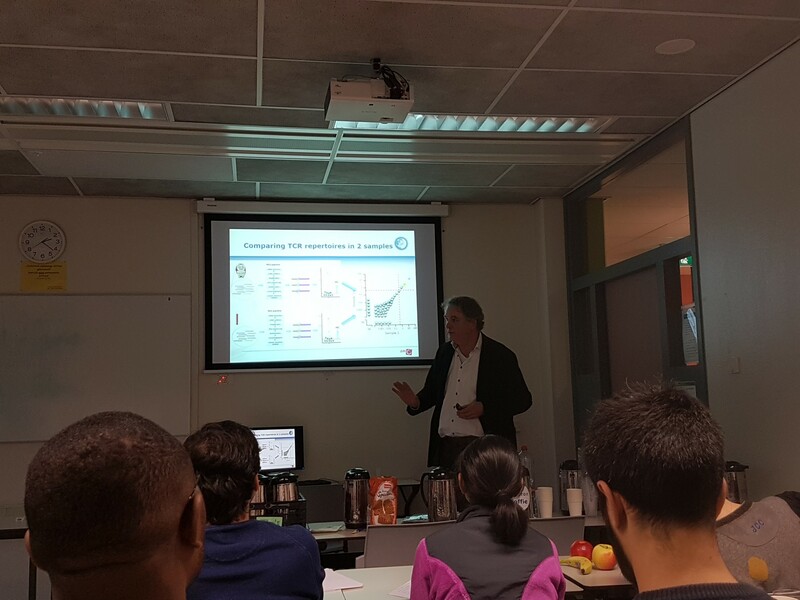 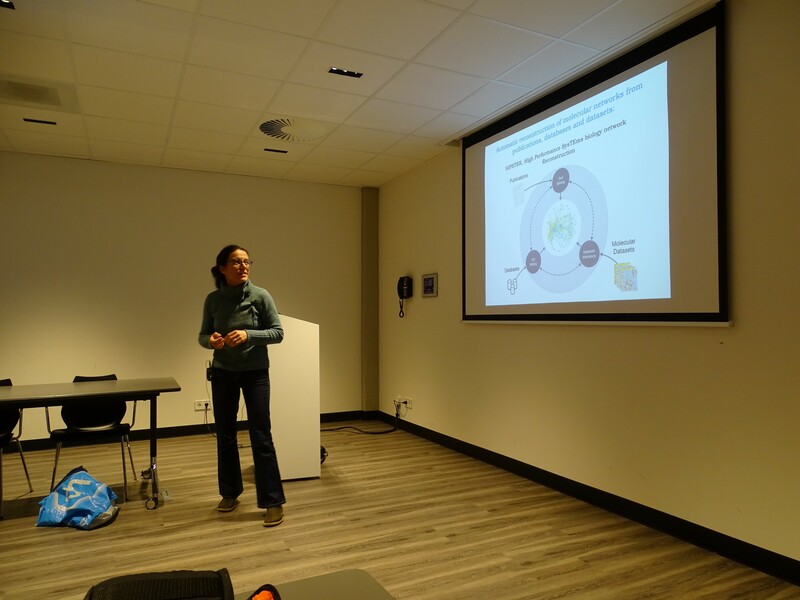 On 21 January 2019 we kicked off with the Workshop Systems Medicine and computational modelling. 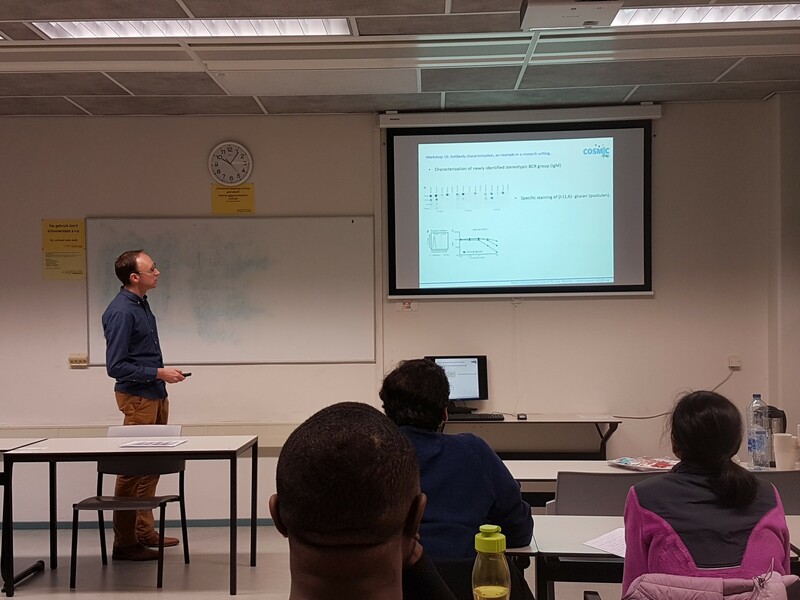 The lecturers talked about Systems medicine, ordinary differential equations, stochastic modelling, Gillespie algorithm, agent-based modelling, protein functional interaction networks, gene regulatory network interference. 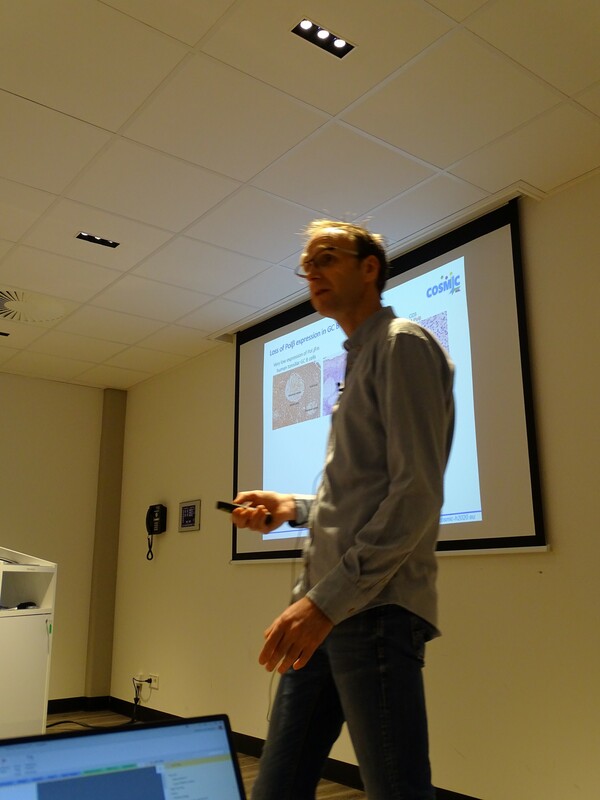 Sebastian Binder talks about a agent based model about wolves that eat sheep. 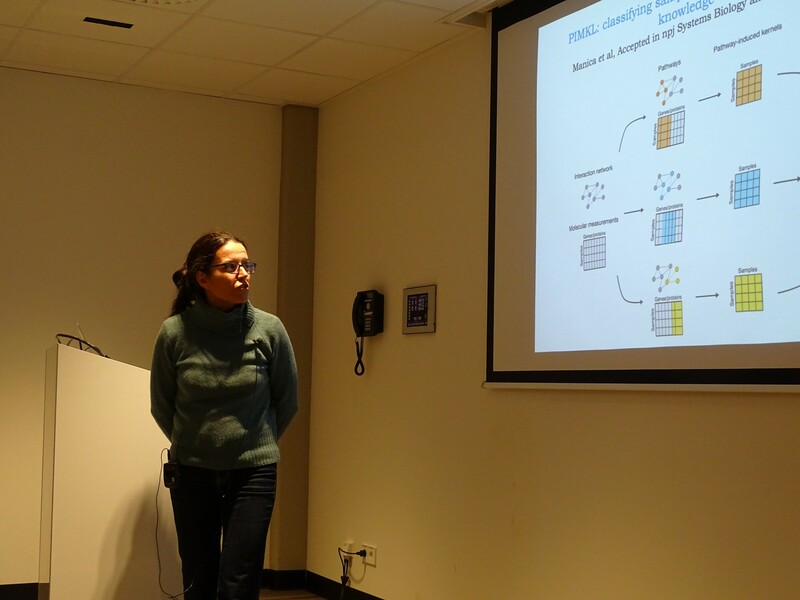 Judith Farres talks about protein interaction networks and how they can be used to study disease. 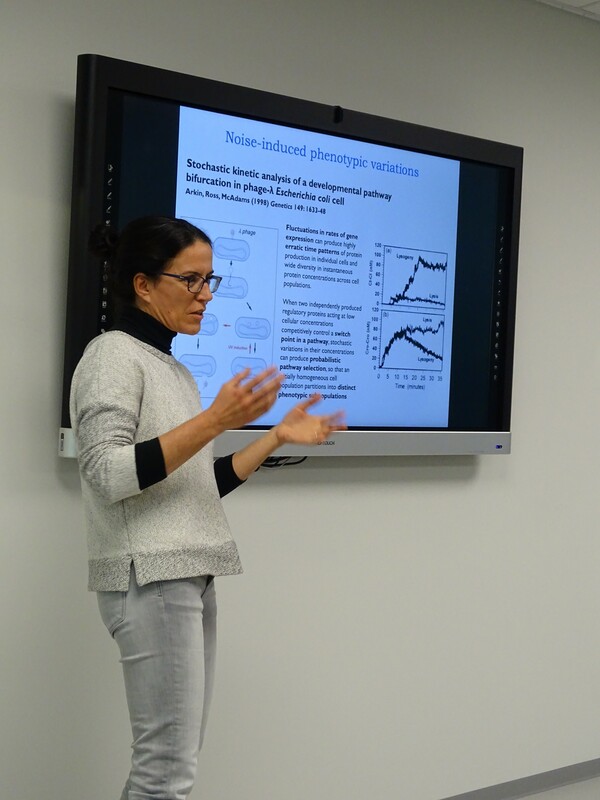 Maria Martinez introduces the ESRs to noise and stochastic modelling. 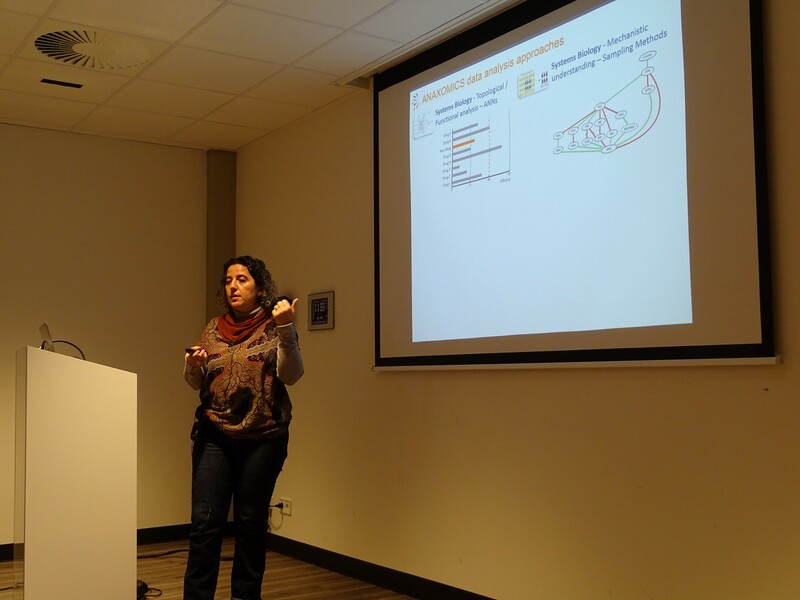 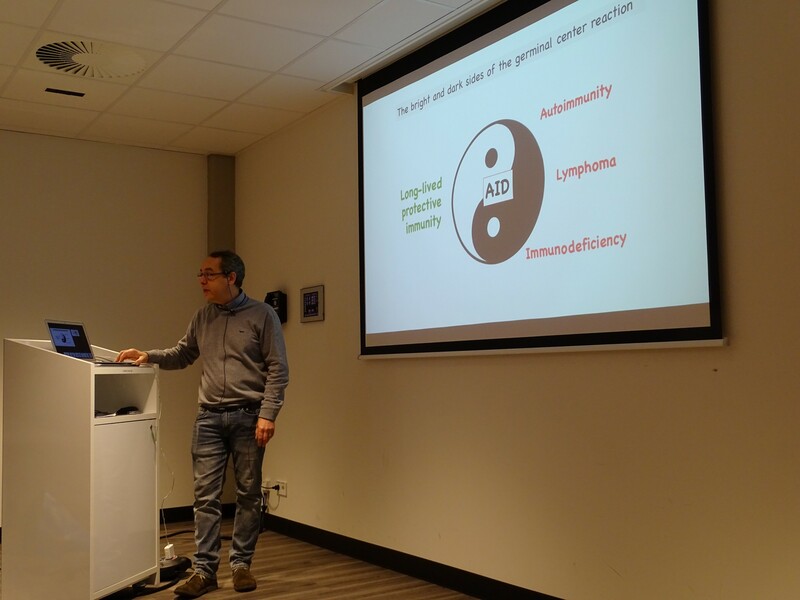 On 22 January 2019 we continued with the Workshop Methodologies in Immunology. 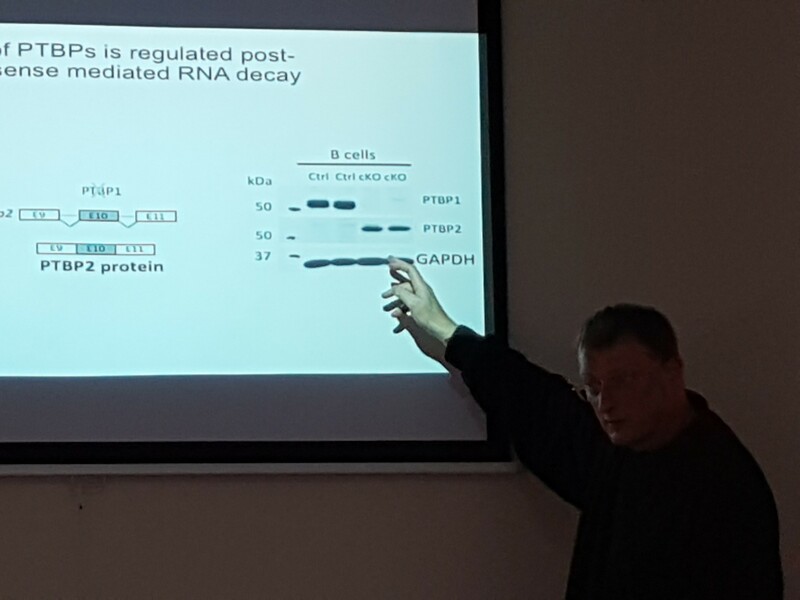 Presentations about antibody technology, advanced imaging technologies, advanced Flow-cytometry and novel FACS applications, high throughput analysis of BCR and TCR repertoires, transcriptomics and Epigenetics (single-cell & long-read), and transgenic, reporter and knockout mice in immunology. 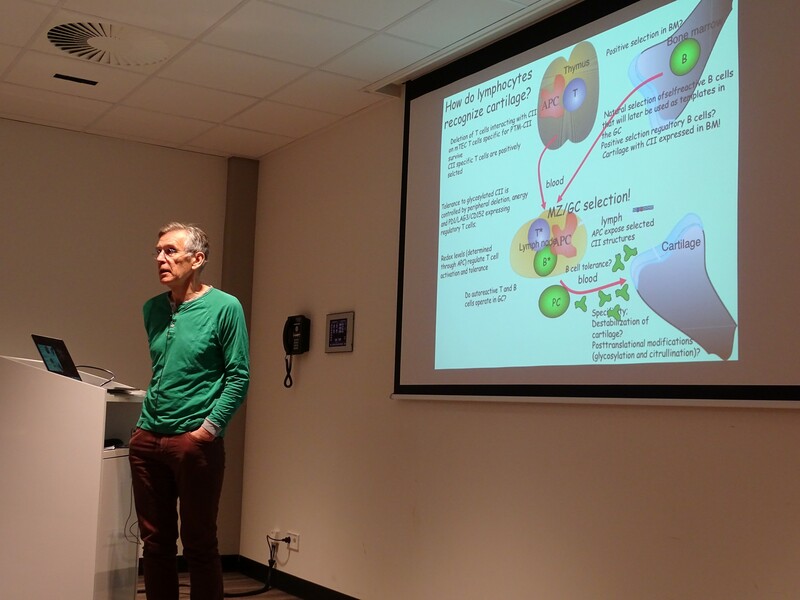 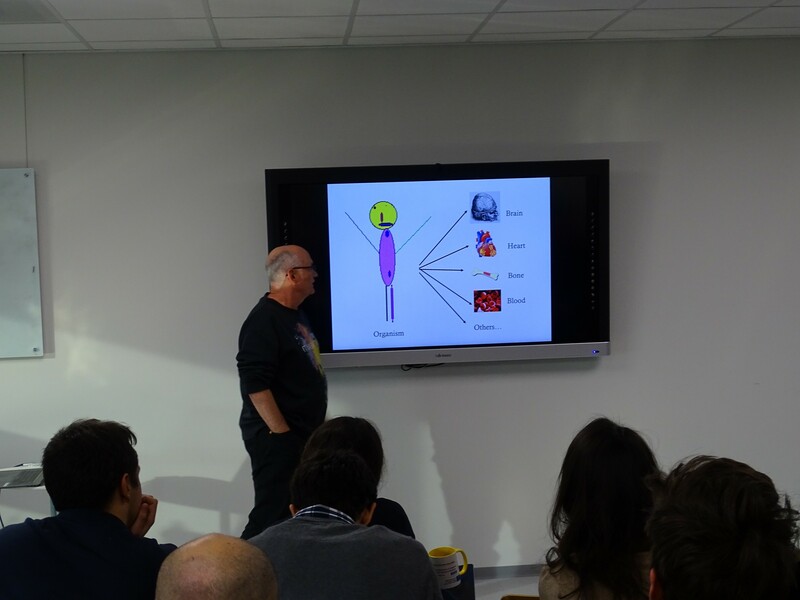 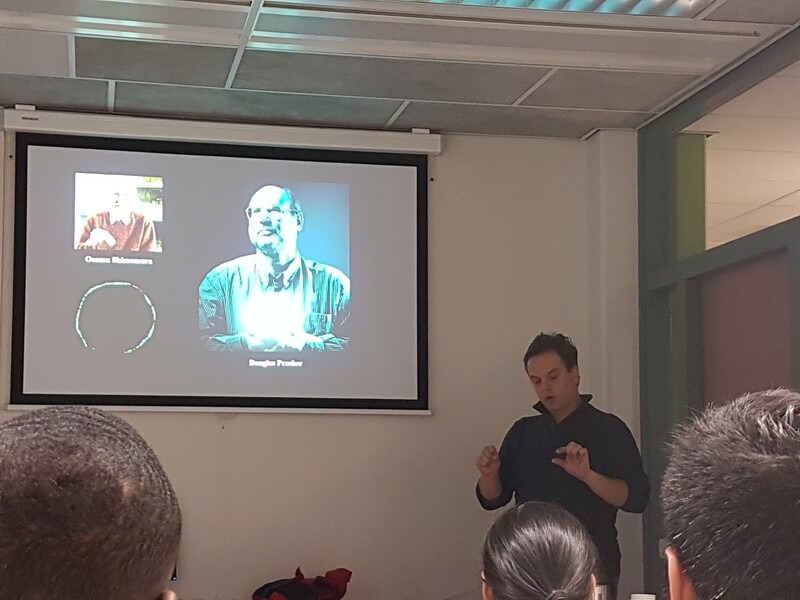 Prof. Eric Reits (Cell Biology, AMC) talks about Advanced Imaging technologies in Immunology. 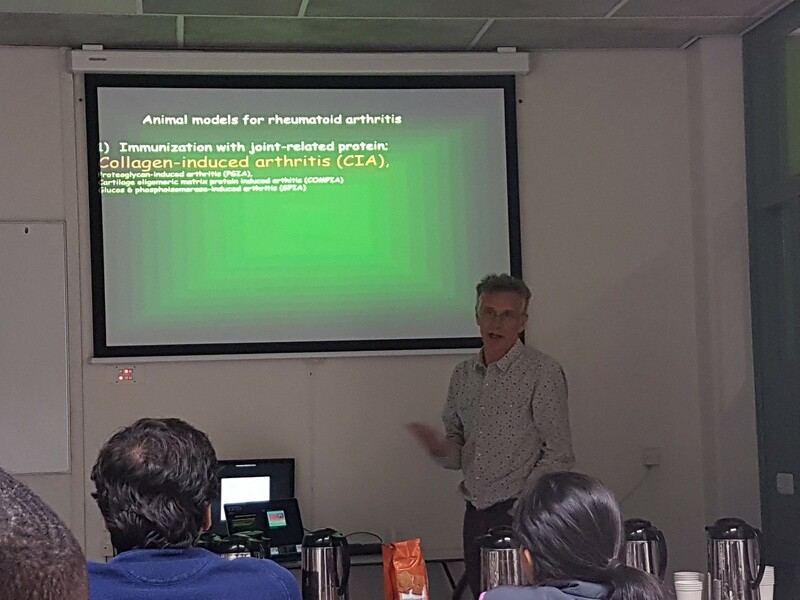 During this workshop the ESRs also attended a patient seminar during which a patient with rheumatoid arthritis was interviewed by Niek de Vries. 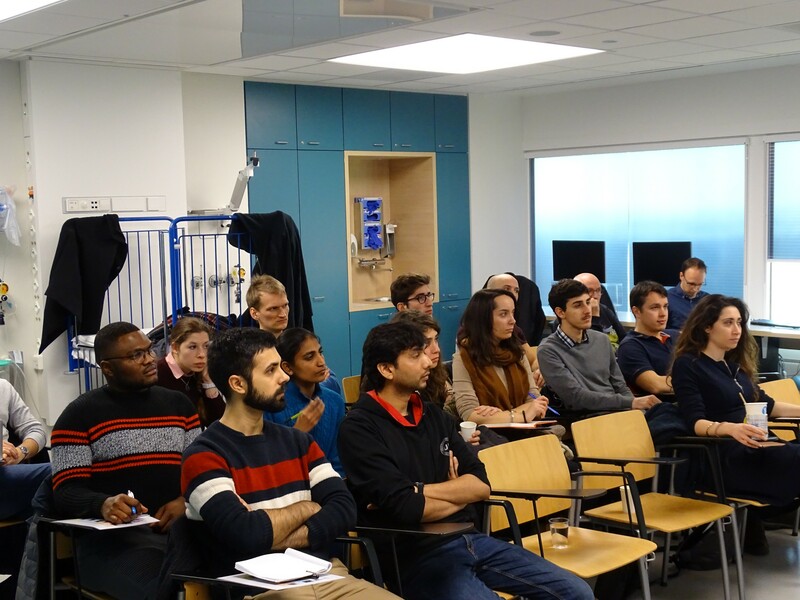 Through this interview the ESRs were informed about the experience of a patient with a severe form of this disease. 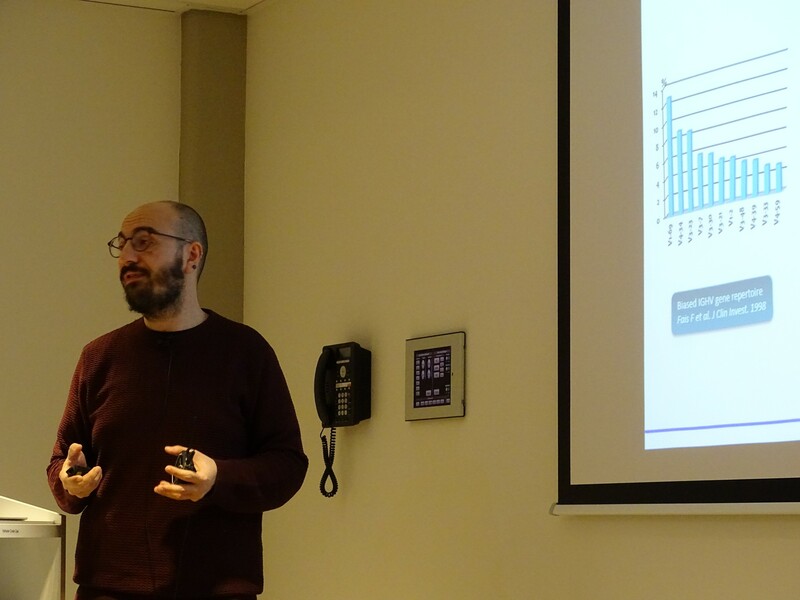 On 23 January 2019 we continued with the mid-term review meeting during which the EU project officer (Charalampos Moschopoulos) and the COSMIC External Advisory Board were also present. 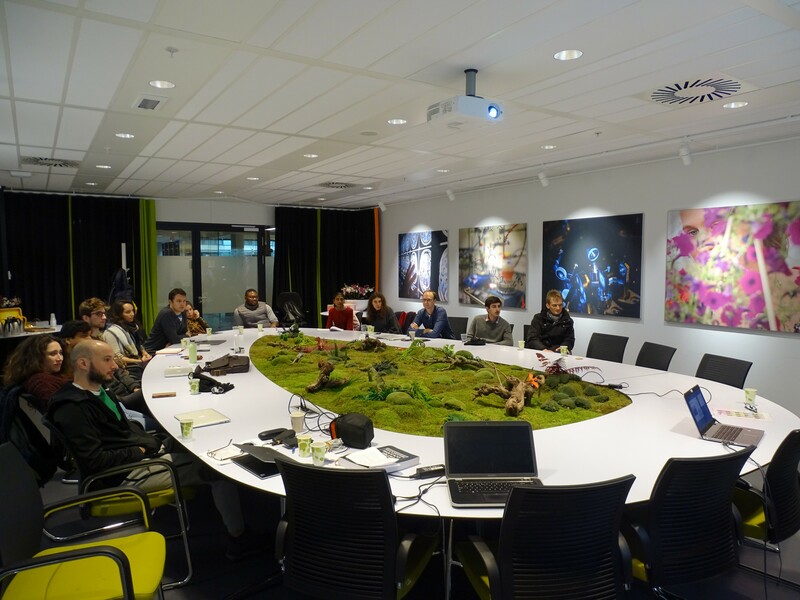 During this meeting the coordinator gave an overview over COSMIC and its current status. 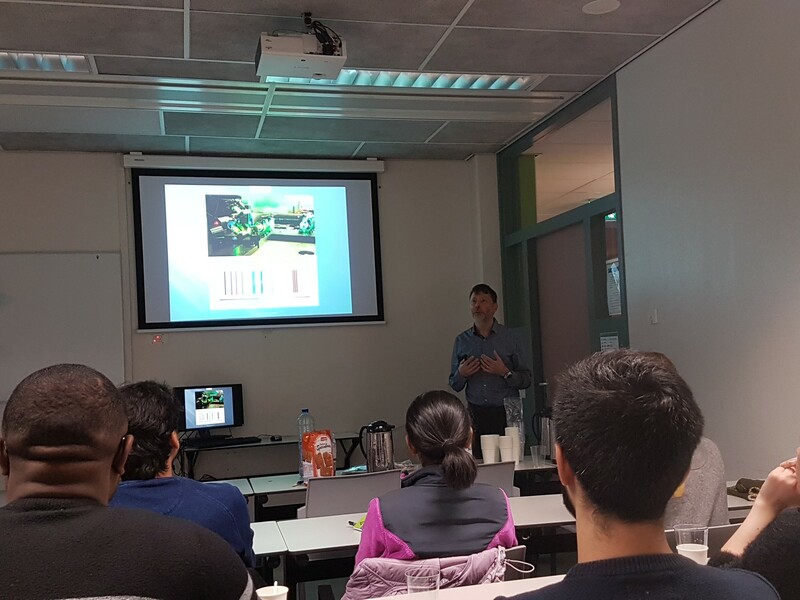 Subsequently, the ESRs briefly presented their research projects. 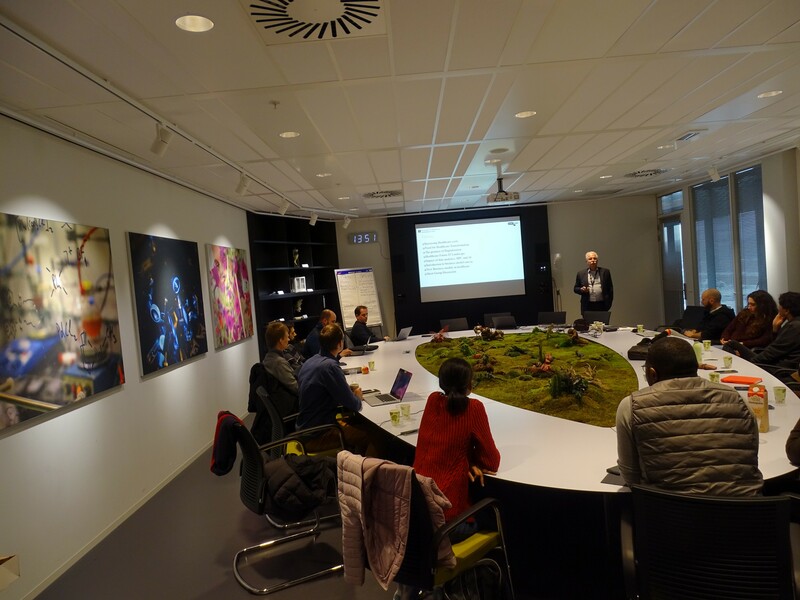 Finally, the Project Officer had a private meeting with the ESRs while the PIs and the External Advisory Board discussed various organizational aspects of the project, and received first feedback from the EAB. 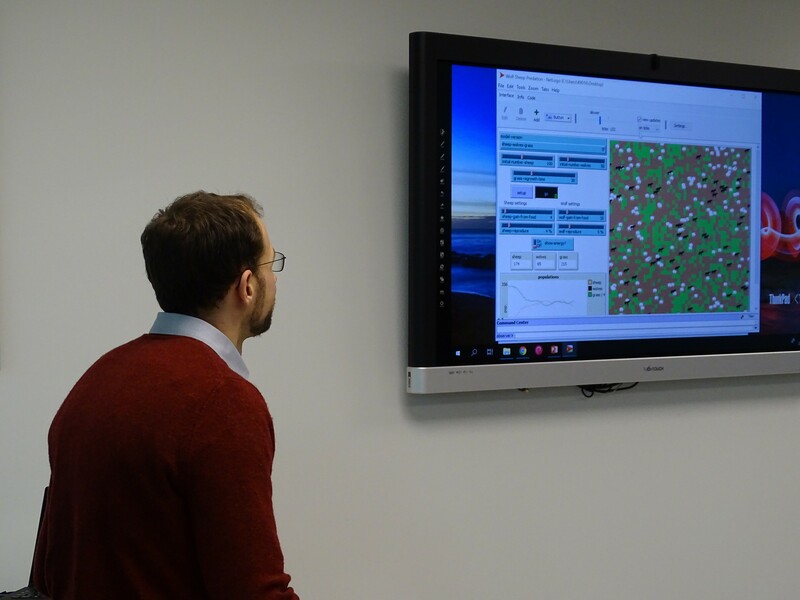 The feedback received from the EAB was positive although they advised to put more effort to link to experimental work with the computational modelling. 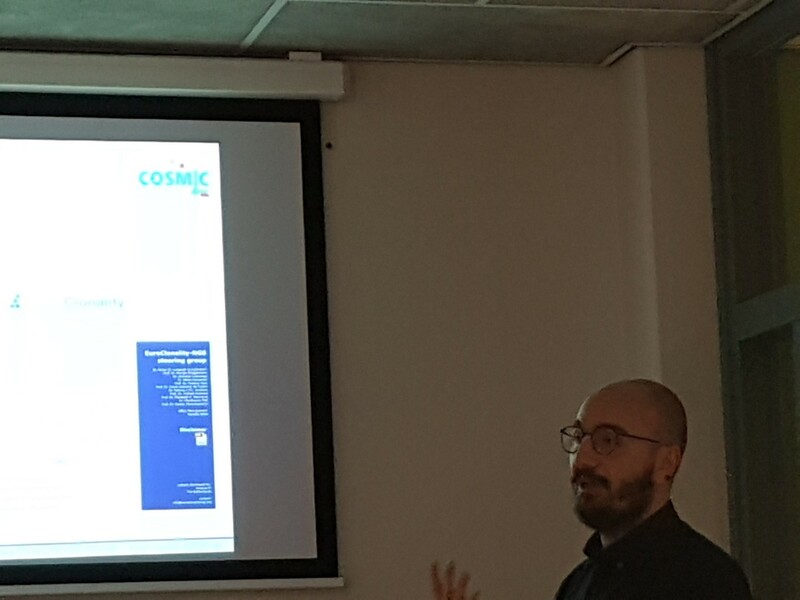 The Project Officer was also positive about COSMIC but stressed to keep an close eye on the implementation of the seconment program and to finalize the consortium agreement. 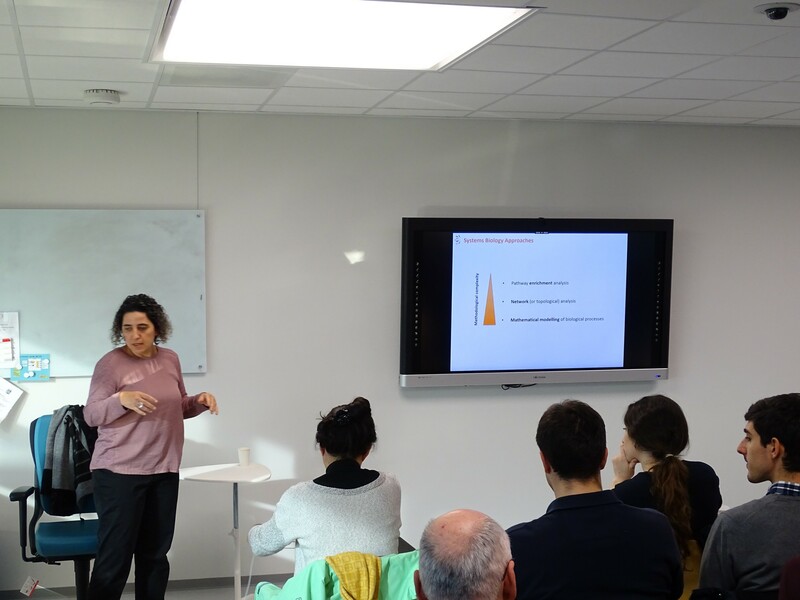 On 24 January 2019 we concluded the week with a Workshop about modern research. 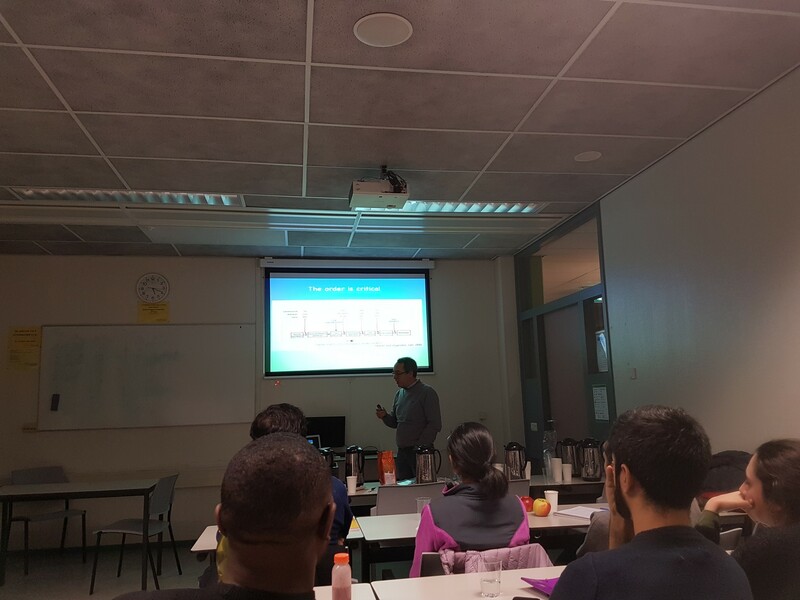 We had several very interesting talks and discussion about various aspects of scientific projects. 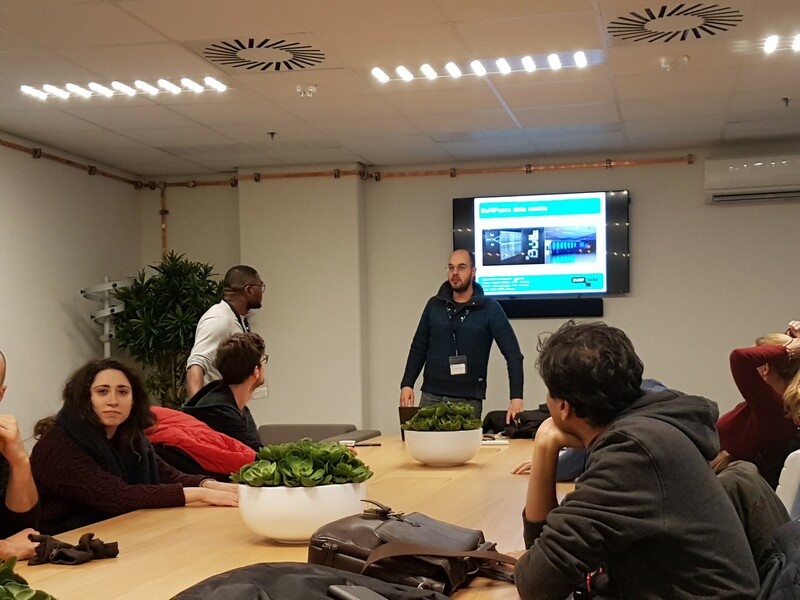 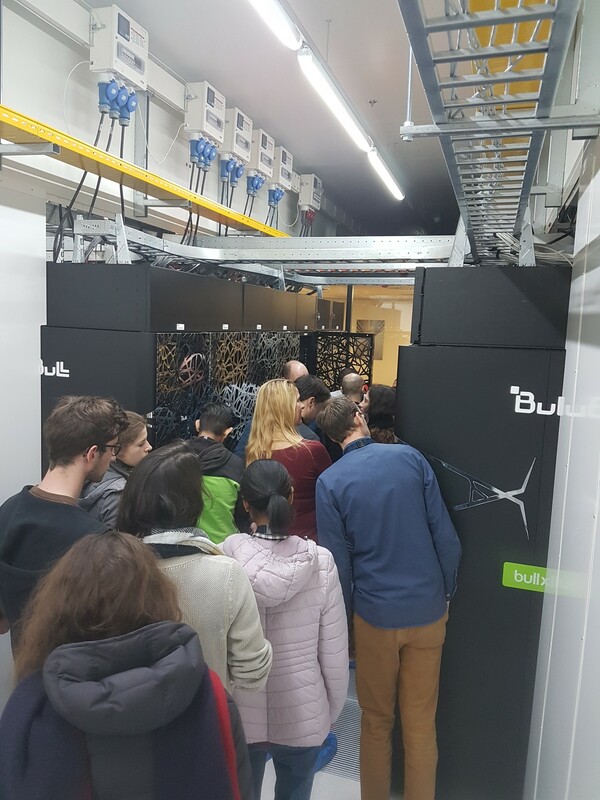 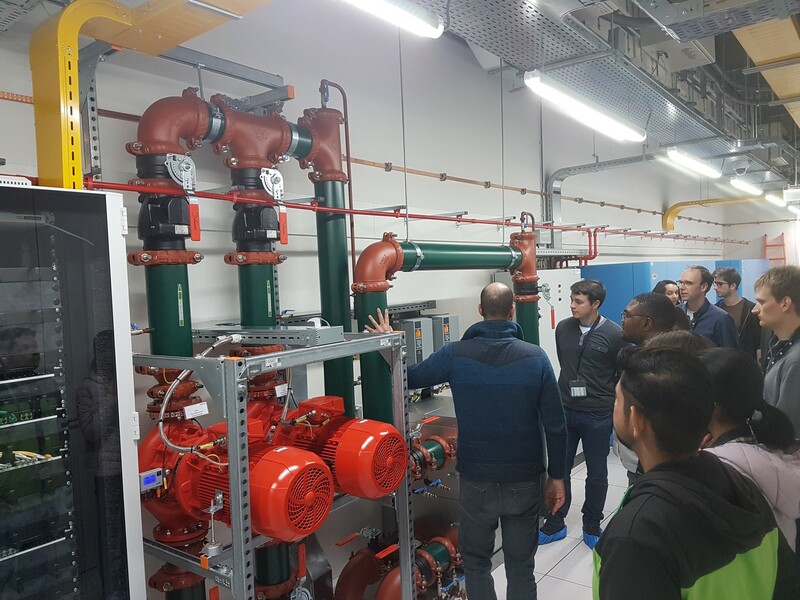 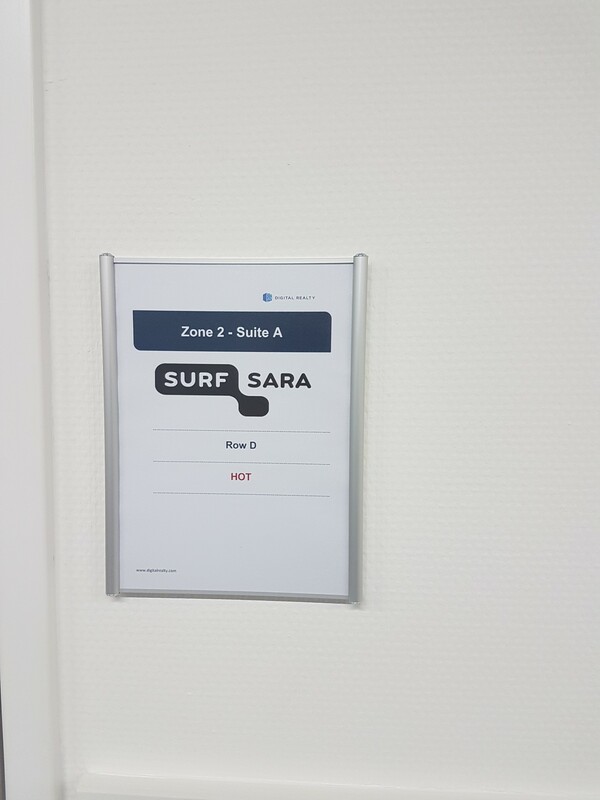 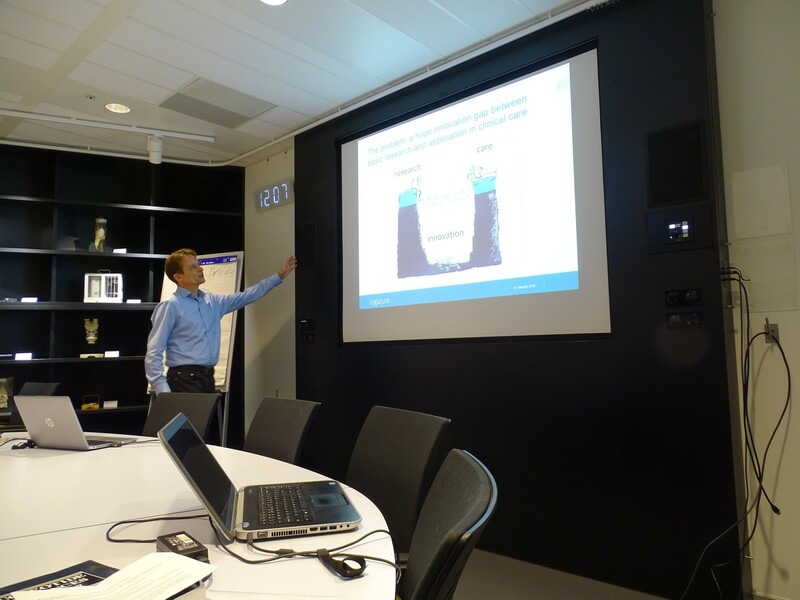 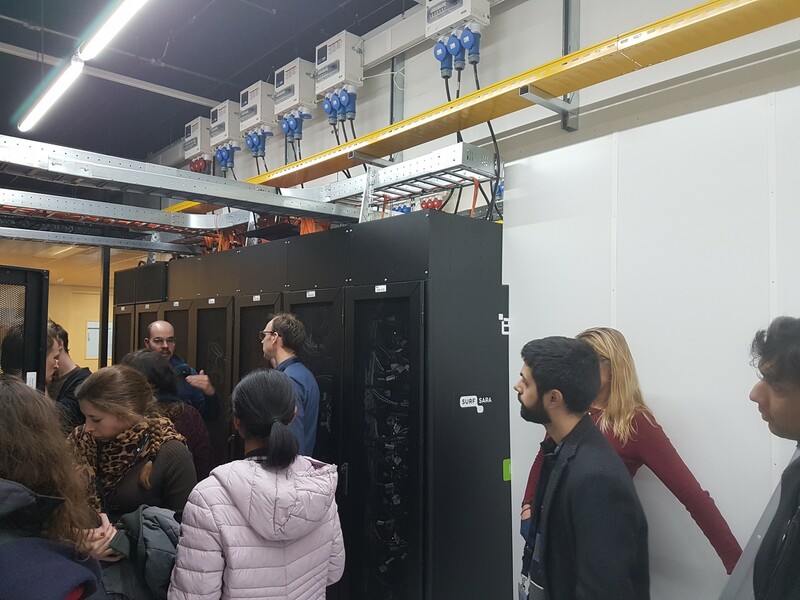 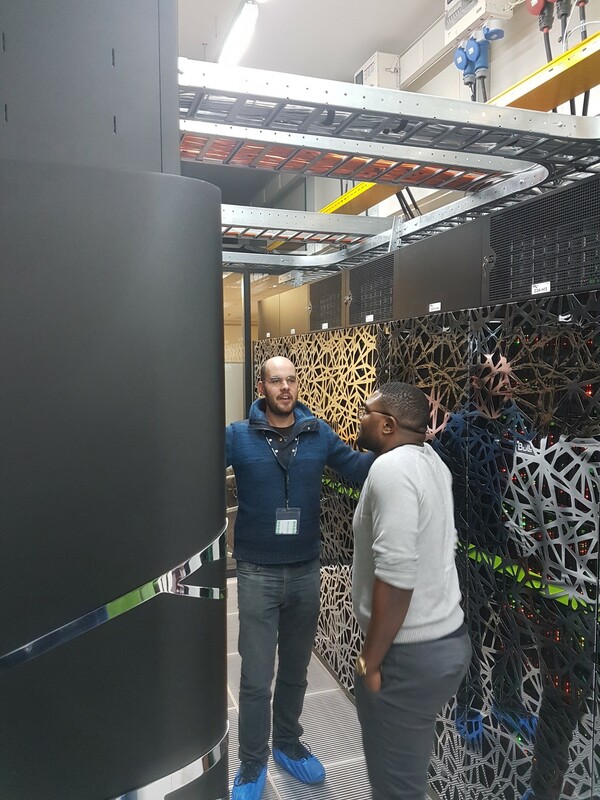 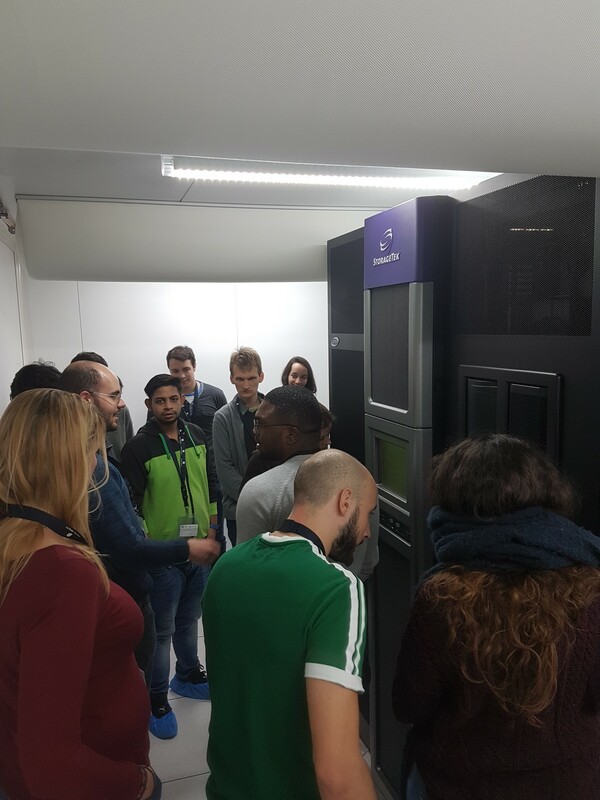 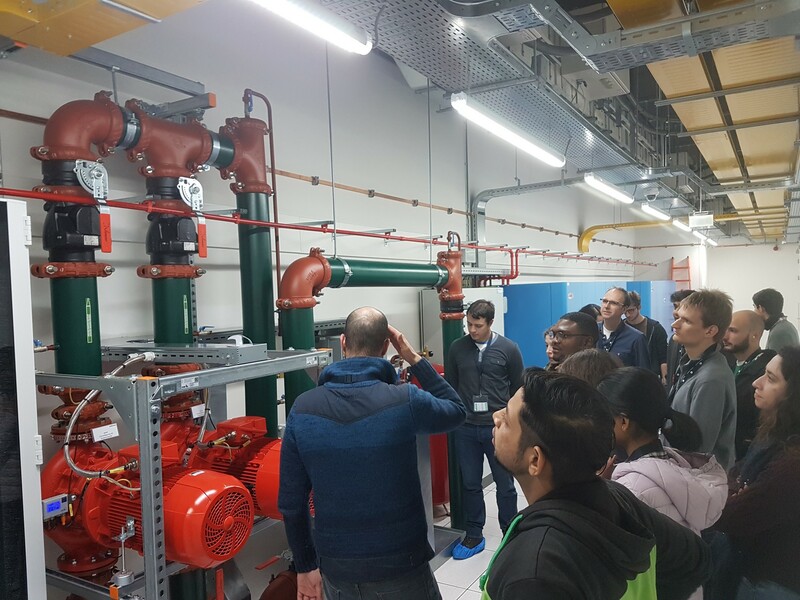 The workshop was concluded with a tour at the national computer center SURFsara in Amsterdam. 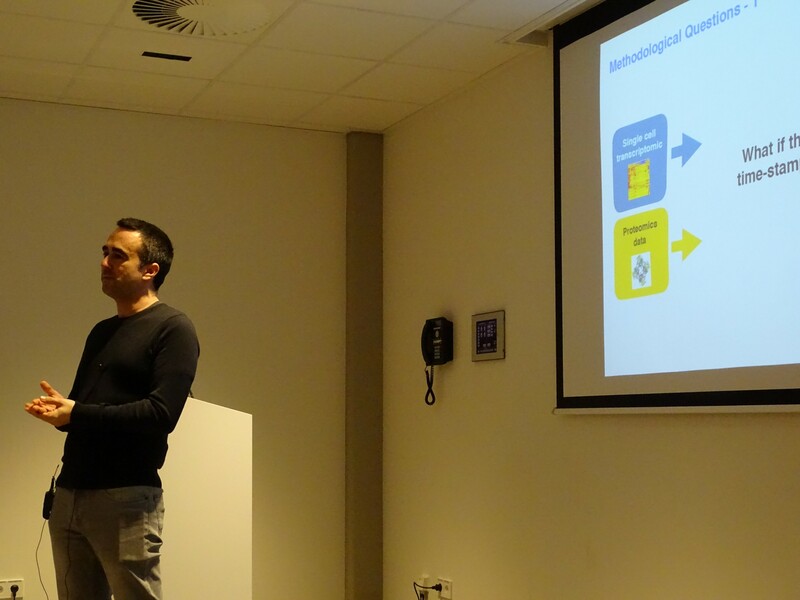 Antoine van Kampen kicked-off with a presentation about Open Science in which we had interesting discussion about open access publishing and data. 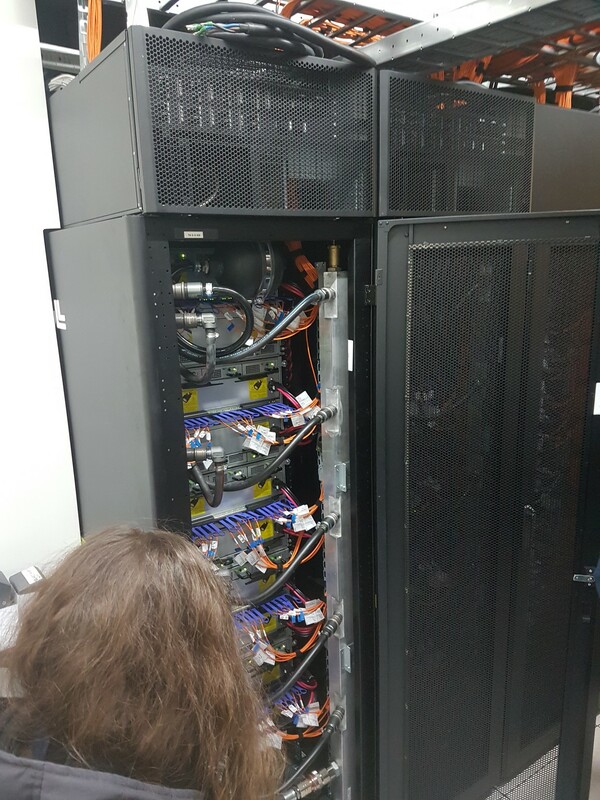 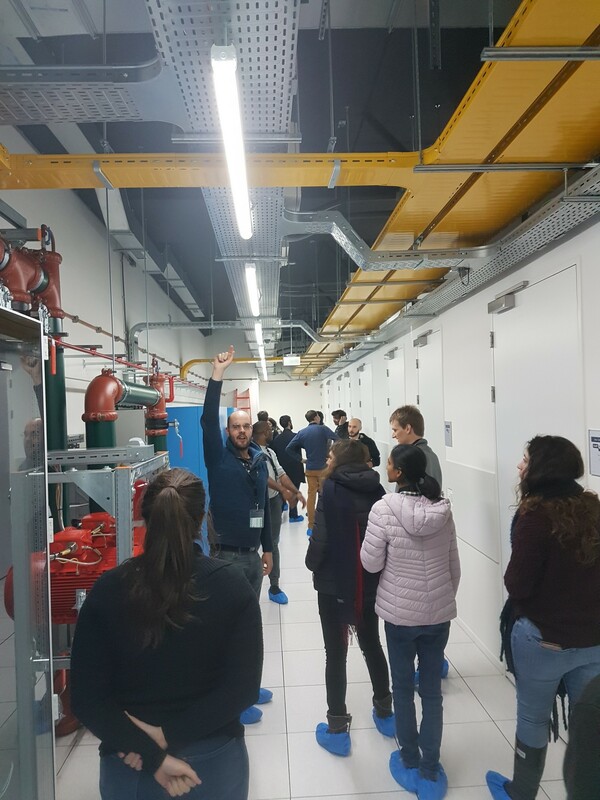 Subsequently, the group went to the Data Tower where they got a guided tour at SURFsara by Dr. Carlos Teijeiro Barjas. 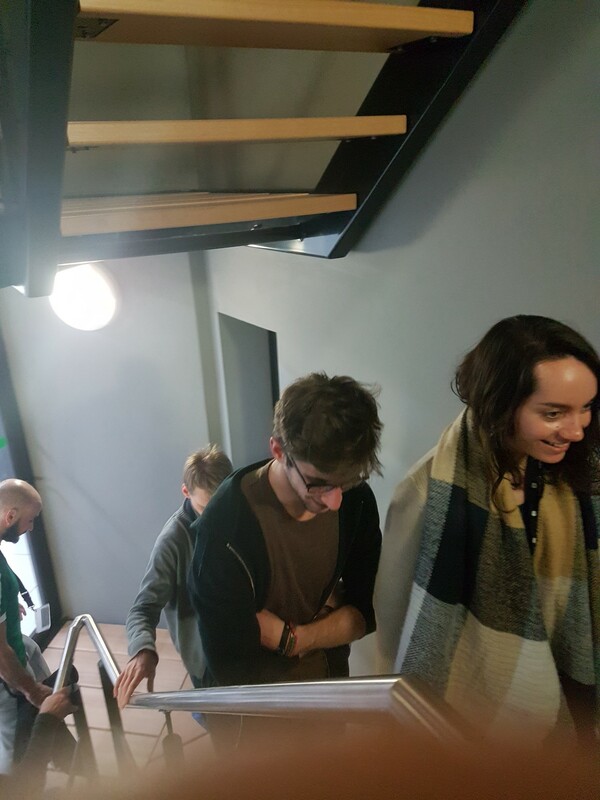 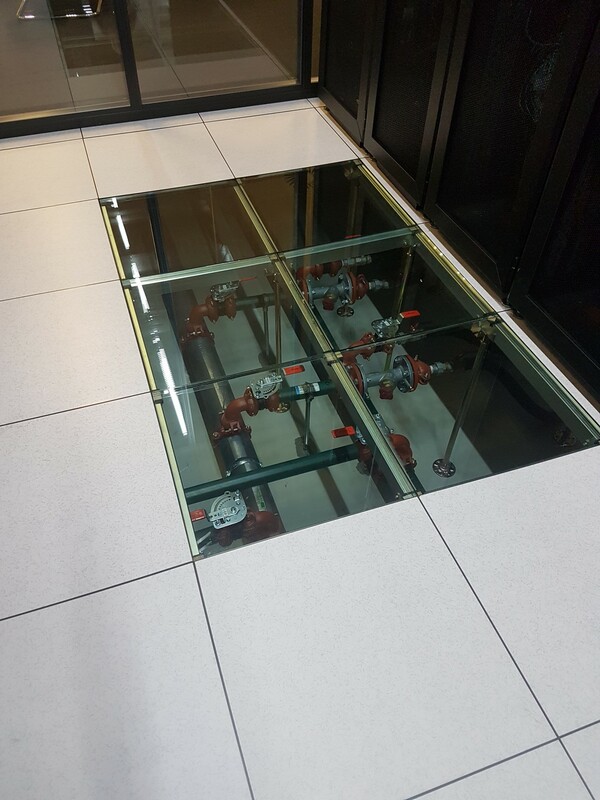 After a check of our ID and giving away our finger print we could enter the building. 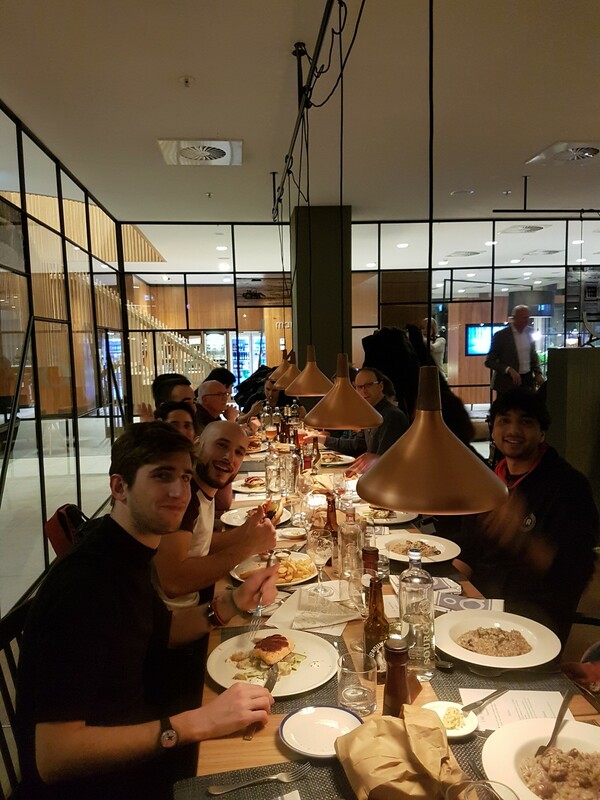 An impression is shown below.